The second edition of Monaco’s newest automobile show lit up a cold winter this February. The glamorous principality is no stranger to car events and is famous for its Grand Prix, rallies and historical car shows. However, following on from the success of the first Salon International de l’Automobile de Monaco (SIAM) last year, which saw more than 35000 visitors, this year’s installment was held between February 15th and 18th. Cars old and new took pride of place along the waterfront promenade of Quai Albert 1 as enthusiasts were able to visit exhibitors showcasing vintage classics and latest model electric cars. As people who rent luxury cars know, Monaco is the ideal venue for an international motor show with the amazing coastal curves of the Riviera enough to make you want to jump behind the wheel as soon as you leave the event! The SIAM motor show is an exciting addition to the Principality’s event calendar and more than 50 registered brands and prestigious partners participated, including innovating manufacturers such as Elon Musk’s Tesla and local favourite Venturi. Along with global car manufacturers and prestige marques, guests and exhibitors included equipment manufacturers, investors and CEOs. The event is also sponsored by numerous corporate partners such as Société Générale Private Banking, Monte-Carlo Société des Bains de Mer and Monacair. The SIAM acronym is the acronym of the French “Salon International Autos Monaco” and it has the full support of His Serene Highness Prince Albert II of Monaco and the local government. As well as being a renowned car enthusiast, he is a prominent proponent of ecological and environmental sustainability. A selection of three of his private collection of classic cars was even on display at the show. As with the inaugural SIAM show, much of the 2018 edition was dedicated to sustainability in the industry and featured amazing futuristic cars designed using avant-garde technologies. The show aims to promote the responsible development of prestige vehicles and hopes to reduce the automobile industry’s negative environmental impact. Fantastic new cars were available for test drives on some of the roads that belong to the iconic Monaco Grand Prix circuit and a selection of used cars were for sale. A conference on automotive sustainability and innovation was a much anticipated highlight with presentations by important industry players such as Mitsubishi, Nissan and Addax. One of the highlights from this year’s show was the presentation of four latest releases from Porsche: the Porsche Panamera Turbo Sport Turismo, 911 GTS Coupé, 718 Boxster S and the Cayenne S. Fans of the German car manufacturer’s vintage models were also treated to a glimpse of His Serene Highness Prince Albert II of Monaco’s rare 1973 Porsche 911 Carerra RS as well as a selection of restored models from yesteryear, many of which were available to buy from private collectors. Of course, here at Luxury Services & Rent, we’re the Monaco Porsche rental specialists. 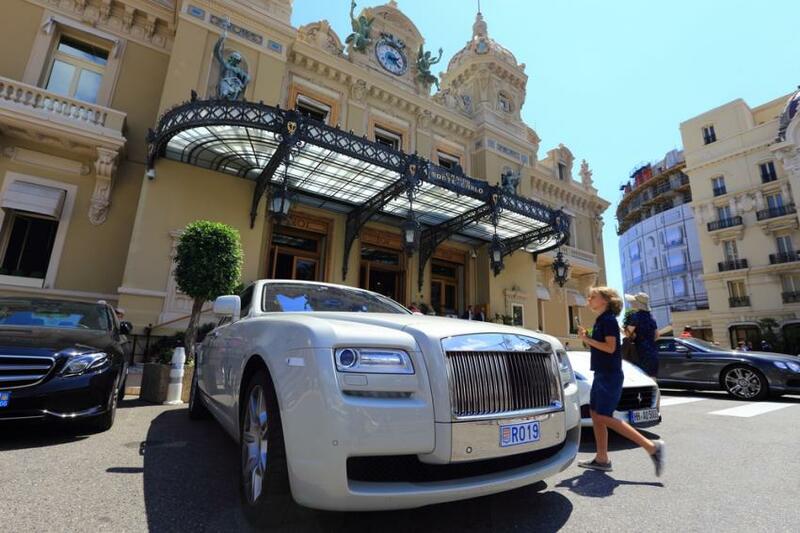 Monaco is a fitting venue for this event since it offers Europe’s most aspirational lifestyle and offers a suitably lavish base for supercar rentals. This year again offered a fantastic Salon International d’Automobile de Monaco and added a whole new level of prestige to the Principality for four glorious days. We’re looking forward to the third instalment and looking forward to it delivering even more inspiration for luxury car rental in Monaco.